You couldn’t pick better Gold Coast Broadbeach apartment accommodation than Sandpiper Beachfront Apartments. The location is unbeatable, 50 metres from the beach with beautiful ocean views from most of the apartments. The gorgeous Broadbeach sand and surf is there just waiting for you. Time to get your swimwear packed. Broadbeach offers you a version of the Gold Coast that families and holidaymakers prefer. As iconic as Surfers Paradise is with it’s youthful energy and twenty four hour culture, it’s great to be somewhere where you can relax. You’ll find our clean and spacious one and two bedroom apartments just the place for your holiday stay. The apartments have all the modern comforts of home — Foxtel, wi-fi on tap, ceiling fans in the living / dining areas and bedrooms, and a heated swimming pool and hot spa alongside. All apartments have fully equipped kitchens too, and the closest supermarket is Woolworths in the Oasis Shopping Centre, just around the corner. 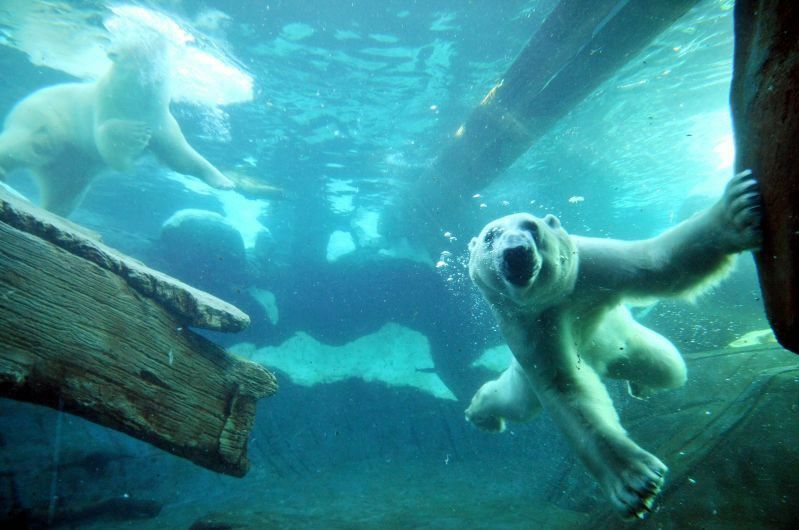 Most of the Gold Coast theme parks are in Oxenford, a brief twenty minute drive away and an easy one at that. Head west until you join up with the Pacific Motorway and then travel north. The route is well signposted. If theme parks are not for you, then Jupiters Casino might. Book a show and dinner at one of Jupiters many restaurants. Japanese fine dining can be found at Kiyomi Japanaese Restaurant, or if you prefer Italian, the Cucina Vivo is well reviewed. How about the finest Chinese at Zen. But wait there’s more, find out more by clicking here. Complete your , or take a walk on the glamorous side at Palazzo Versace — the ultimate fashion experience. Stop for a drink at one of the bars, take high tea, peruse the salon, or enjoy a day spa treatment; whatever you choose to do, a Versace experience is opulent and unique. 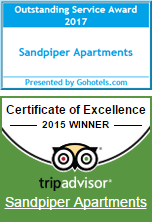 What better Gold Coast Broadbeach apartment accommodation is there than the Sandpiper Beachfront Apartments. The location is unbeatable, not just close to the beach, but handy to all the good things on the Gold Coast. Book your next holiday accommodation now.